Published Apr 9, 2014 by Cisco Press. Part of the LiveLessons series. 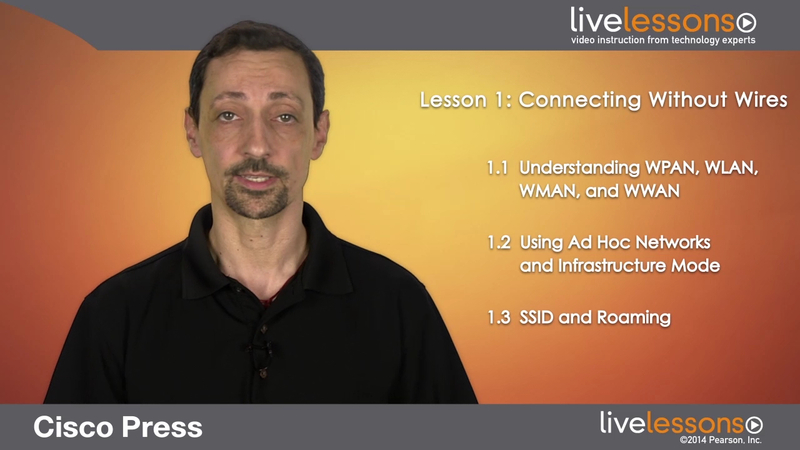 Lesson 1: 'Connecting without Wires' is an introductory lesson that will guide you through the concepts, of WPAN, WLAN, SSID, ad-hoc vs. infrastructure, roaming, and also introduce you to specialized wireless devices, such as mesh APs, repeaters and Workgroup Bridges. It will also explain the role of the IEEE and of the Wi-Fi Alliance.